LISTED buildings across Northern Ireland will benefit from a new £500,000 government fund, though a prominent campaigner warned the move does not go far enough. The Department for Communities (DfC) has launched a £500,000 Historic Environment Fund which offers support for the upkeep of listed buildings. The announcement comes 10 months after a special report by Detail Data highlighted major shortfalls in government support and enforcement for the sector. Our report, in November 2015, confirmed that previous funding of £4.4 million a year had been reduced to zero – except for £500,000 allocated to schemes through the plastic bag levy fund. 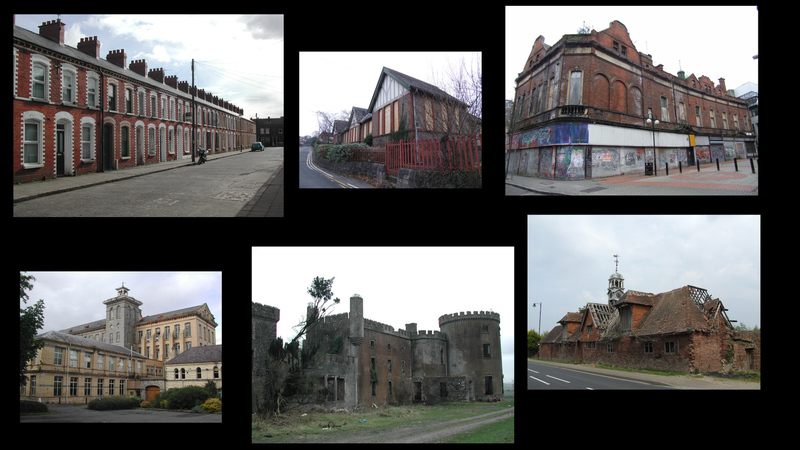 Detail Data highlighted that the Built Heritage at Risk NI (BHARNI) register, which aims to attract investment to nearly 500 vulnerable listed buildings, had been removed from the then Department of Environment’s website. We also revealed that more than 650 previously listed buildings had lost their official protection in the past 20 years and that fire damage had been recorded at historic buildings 38 times over a 10 year period. Since publication, the findings of the Detail Data report have been discussed in the Assembly, both in committees and at full sittings, with a series of related written questions also directed at Ministers by MLAs. In December 2015, the BHARNIregister was again made available to view online whilst in March 2016 a public consultation was launched in relation to the establishment of a new funding scheme. Communities Minister Paul Givan yesterday launched the fund which will cover listed building repairs, historic monument regeneration, council maintenance activities and a range of community focused initiatives. The deadline for applications is October 10th 2016. In a statement the Minister said: “The Historic Environment Fund (HEF) draws together a number of funding streams which are available to support our heritage. This ranges from listed building repairs; to support for communities to investigate their archaeology; enables councils to encourage maintenance activities; schools to help them visit monuments in state care; and, communities to regenerate historic monuments in their local area. Built heritage expert Rita Harkin said the new funding was a positive start, but that much greater levels of funding are required in the longer term. “Of course it's great that government recognises the multiple community benefits of investing in the repair and re-use of our built heritage,” she said. To read the previous Detail Data report in full click here. The Department for Communities (DfC) has launched a £500,000 Historic Environment Fund which will offer support for the upkeep of listed buildings. In December 2015, the BHARNI register was again made available to view online whilst in March 2016 a public consultation was launched in relation to the establishment of a new funding scheme. Built heritage expert Rita Harkinsaid the new funding was a positive start, but that much greater levels of funding are required in the longer term.